Nasreddin and the Smell of Soup. Then he took some money from his pocket. He held the coins next to the restaurant owner’s ear, and shook them, so that they made a jingling noise. “What was that?” asked the restaurant owner. 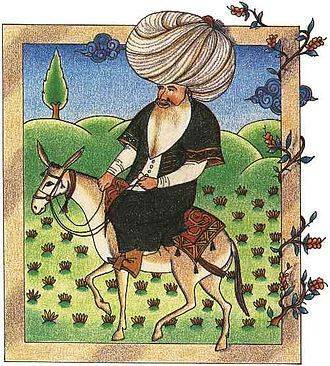 “That was payment for you,” answered Nasreddin. “What do you mean? That was just the sound of coins!” protested the restaurant owner.